If you are using Shopify’s built in abandoned cart email to recover carts, you might be looking to track the number of clicks from the emails. 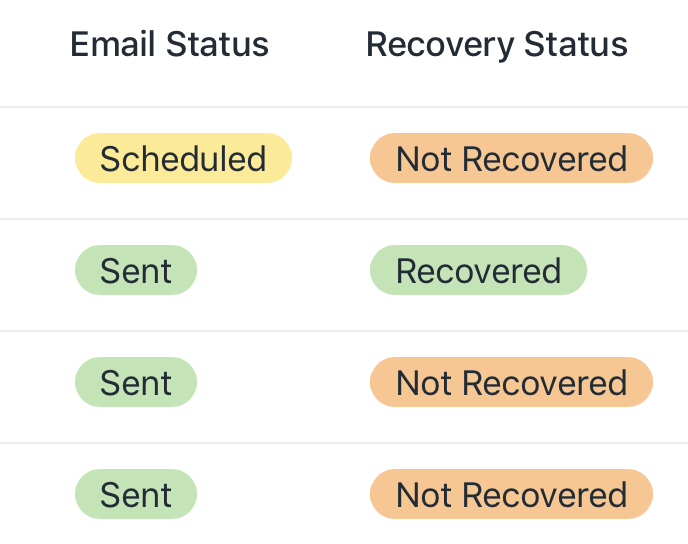 The Abandoned Reports page gives some insight, with the Email Status and Recovery Status columns, however I wanted a little bit more info. I decided to use Google Analytics and UTM tags to try and achieve this. Using the & rather than ? at the start because, Shopify includes a query string parameter with a secret code. This time with a ? instead of & as no query string parameters are added to this one. You could so one step further adding a utm_content tag to each so you can track which of the two links someone clicked. You will also be able to use the Enhanced Ecommerce functionality, to track the amount of revenue those clicks have driven. You can also put this together with the number of emails sent from Shopify, to give yourself a Click Through rate. If anyone has additional thoughts or ways to do this do let me know.